The tendering for the 2016 EU-China NGO Twinning Exchange Program is open. Apply now! 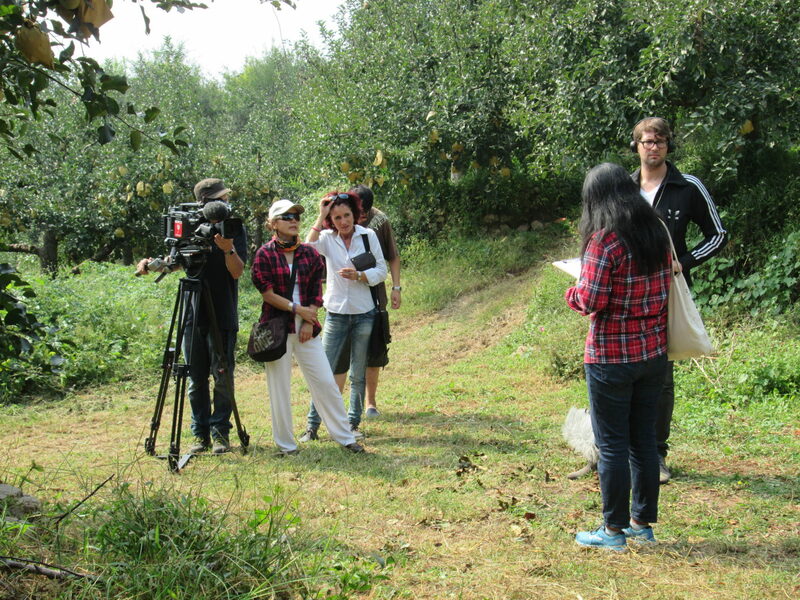 To develop sustainable partnerships and cooperation between non-governmental or non-profit organizations and think tanks from Europe and China the Stiftung Asienhaus in cooperation with CAN Europe/CANGO – CCAN in 2016 organizes the fourth round of the EU-China NGO Twinning exchange program. Robert Bosch Stiftung and Stiftung Mercator will continue to support the program and thus work closely togehter to create a network of civil society organizations from Europe and China. The program will offer NGO staff from Europe and China the opportunity to spend a four- to eight-week placement in a Chinese or European partner organization and to further develop their common areas of expertise. This exchange is designed as a twinning exchange, i.e. two organizations working on similar thematic issues exchange a member of their staff in order to establish long-term partnerships. In 2016, 24 employees from Chinese and European organizations will take part in this program. The program will accept 14 (seven European and seven Chinese) participants representing organizations from all thematic areas dealing with Social and Environmental Justice. 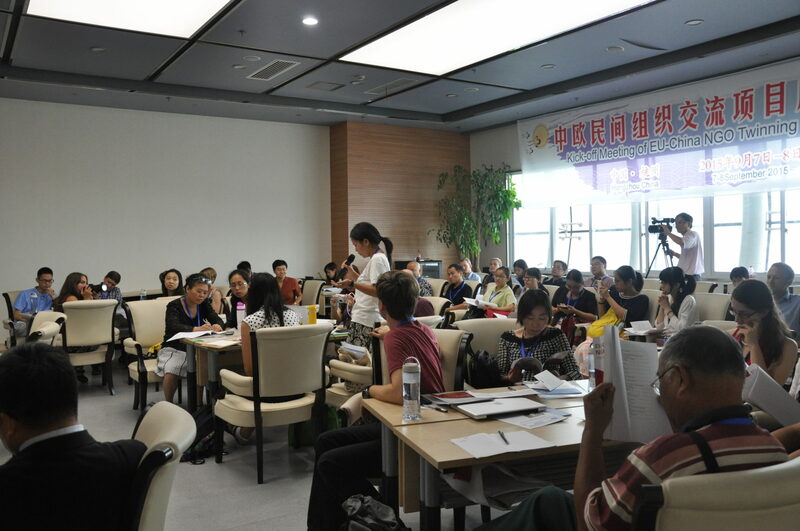 On September 7th and 8th, the 2015 EU-China NGO Twinning exchange side events began with a capacity building seminar for the European participants in the Low Carbon Museum in the city of Hangzhou. After the merging of the Twinning on Social and Environmental Justice and the Exchange Program on Climate Change and Low Carbon Development, this was the first joint event hosted by Stiftung Asienhaus and the China Association for NGO Management (CANGO ). It was also the first occasion for all 24 cycle participants to meet as a group. 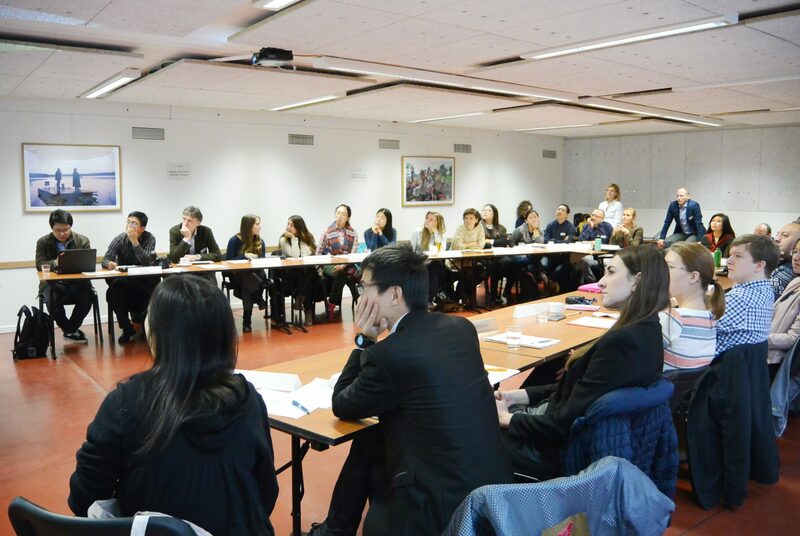 On the 3rd and 4th of November 2015 the European and Chinese NGOs of this year’s Twinning-program gathered in the facilities of Mundo B in Brussels. In this third year of Twinning exchange, the capacity building workshop for the first time was hosted by Stiftung Asienhaus in cooperation with CAN Europe. For the first time, the workshop also included not only the 14 Social and environmental justice Twinners, but also the 5 Climate Change themed NGO partnershipsTaking advantage of being located in Brussels, the EU capital, the workshop aimed at informing the participants about EU-China relations,-structures and institutions of the European Union as well as current European topics of discussion. 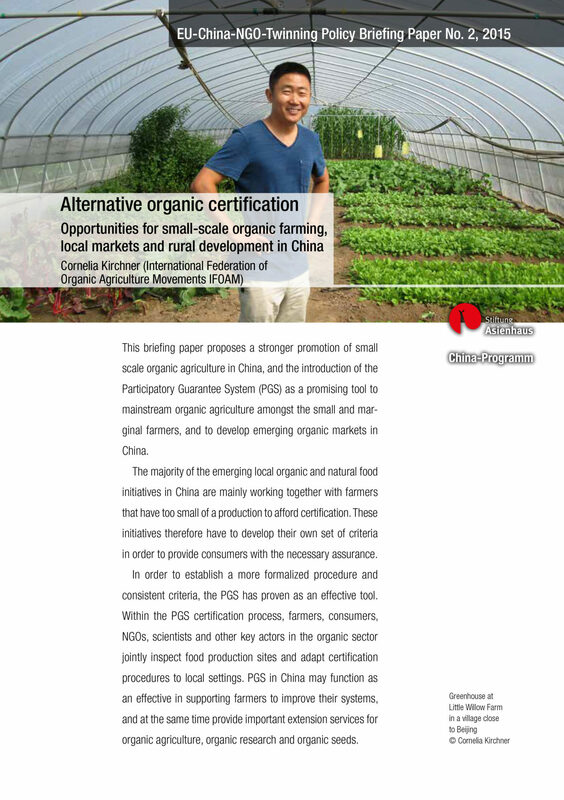 This second Policy Briefing Paper, published by the China-Program of the Stiftung Asienhaus deals with current challenges and perspectives of organic small-scale agriculture in China. On October 25th, the 2014 NGO exchange capacity building side seminars started off with a seminar on advocacy in Chinese civil society in the Beijing NGO café “Swanport”. Providing the participating organizations with information on environmental and social topics in the respective other region is one of the main goals of the EU-China NGO Twinning. It was also the first occasion, for most of the EU-China NGO exchange participants to meet as a group. During this workshop the Chinese and European participants of this year’s second round of NGO Twinning exchange will introduce their organizations and common work focus. They will also present the results of their cooperation and reflect on the impact of the exchanges.